The Museum of London, located in the City, is on a small site and has a lot of history to cover. As a consequence the telecomms display is rather limtied. However, THG members tell me that there is a lot more material in store which can be used for special occasion displays. So it will be worhtwhile to revisit from time to time. 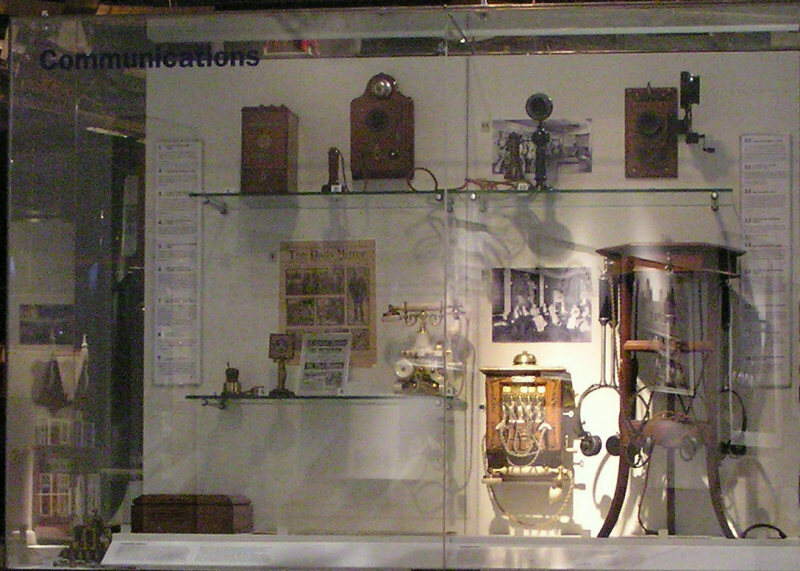 I went round the Museum in August 2006 and took some pictures of the communications cabinet and some railway telegraph items. All the images are clickable for a larger version. Use 'Back' to return here. 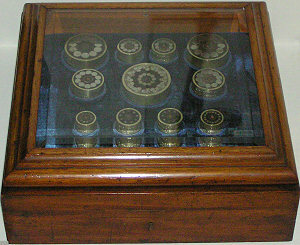 This is the main display case. To the right is an Electrophone table, which didn't photograph too well on its own through the glass. 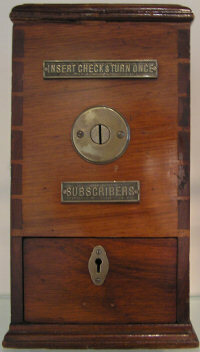 The Electrophone allowed subscribers to hear West End theatre and opera productions in their own home. The table was equipped with several sets of earphones to allow a group of people to listen. 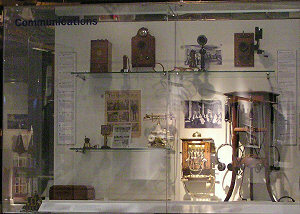 Next to it is the ornate switchboard which featured in the old BT museum display. [Picture]. Let's move on to some of the other items. 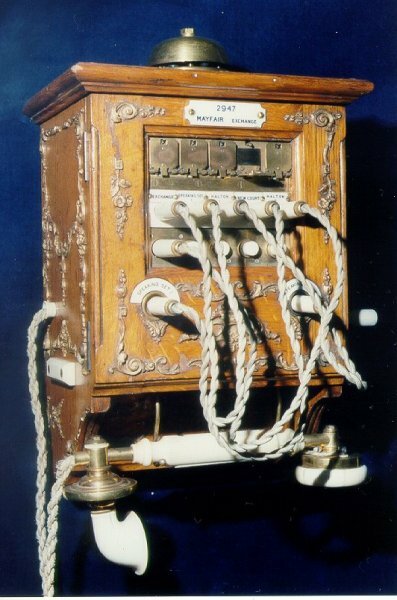 This elegant telephone was used by the Rothschild family to communicate between their home and office in order to keep in touch with financial affairs. 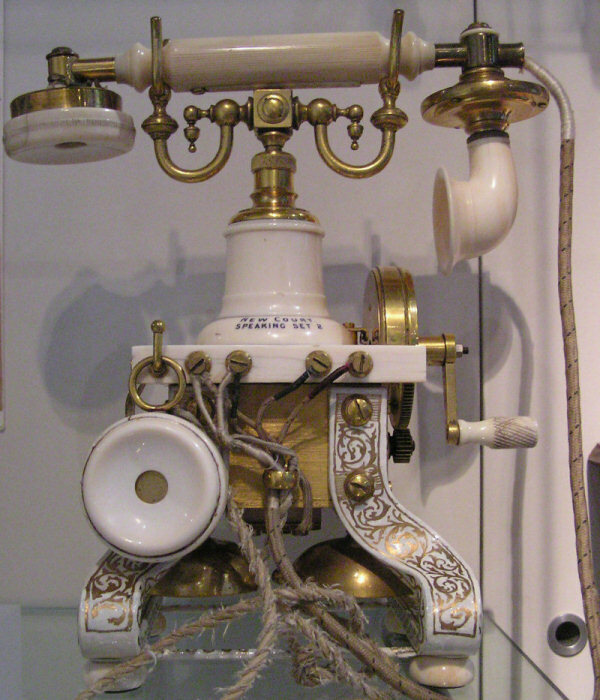 Above the Electrophone table is this telephone designed by Edison. 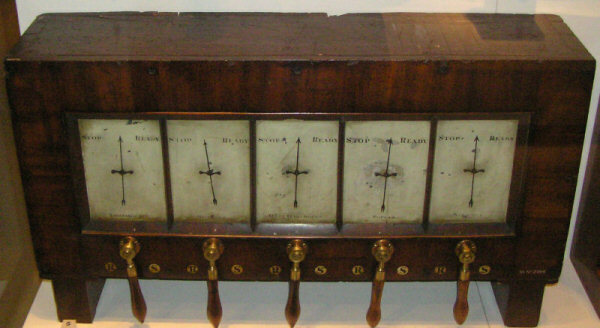 Edison invented the chalk receiver to get round Bell's patents on the receiver. There's a good explanation of how it works on the Science Museum's Ingenious web site. The drawback was that the user had to keep turning the handle in order to hear anything. 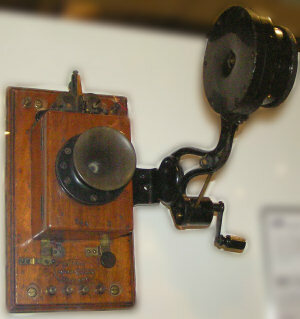 Later versions used an electric motor. 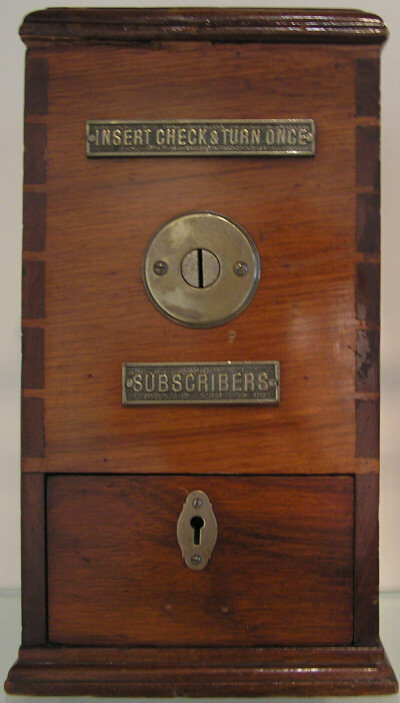 Boxes like this (top left in the cabinet) were, at one time, fitted at call offices to allow telephone subscribers to by-pass the coinbox by inserting a key into the slot and turning. London's financial interests are represented by this fine stock ticker, made by Extel. Tickers like this would be fitted in various premises around the city, including gentlemen's clubs, so that investor could keep up to date with the latest stock prices. The telegraph was vital to london's overseas trading interests and much of the undersea cable was made in London at Woolwich. 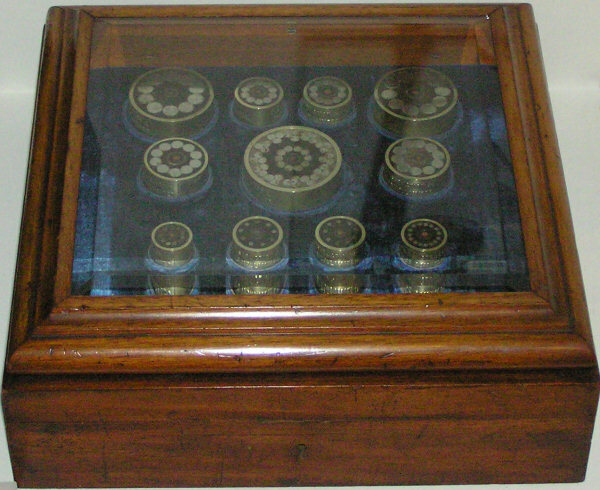 These samples are from cable used to connect Natal to Aden in 1879. 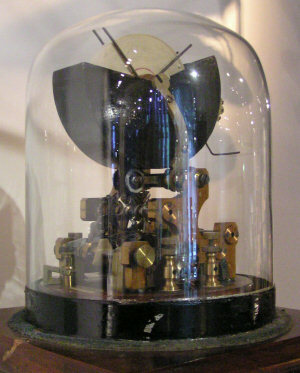 Cooke and Wheatstone demonstrated the first electric telegraph in London between Euston and Camden in 1837. 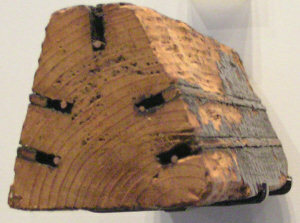 This is a sample of the five wires embedded in a wooden support that formed the cable for 5-needle systems. This immense piece of telegraph equipment was used in Blackwall and was supplied by Cooke and Wheatstone for signalling on a rope-hauled railway. Collection: Museum of London, Pictures and text © 2006 Sam Hallas.